Daniel Capparelli is a Research Associate at ECIPE. 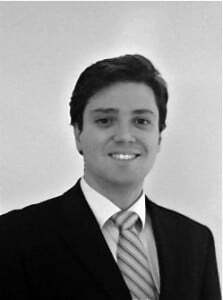 His research interests include: how the financial crisis has affected EU trade policy in financial services; how internal market regulations affect trade flows and negotiations; competition; and trade in services. He is also interested in the trade relations between South America (notably Brazil) and the European Union. Daniel has advised the European Parliament on trade matters and, more specifically, on the ratification of the EU-South-Korea Free Trade Agreement. Daniel is currently finalizing his Ph.D. in the political economy of financial services trade liberalization at the London School of Economics (LSE), from where he has previously obtained a Master’s degree in International Political Economy. He also studied at the University of Toulouse 1 (Toulouse School of Economics), where he received a Bachelor degree in International Economics, Money and Finance, and at the University of British Columbia. He speaks fluent English, French, Portuguese, Spanish and intermediate Italian.